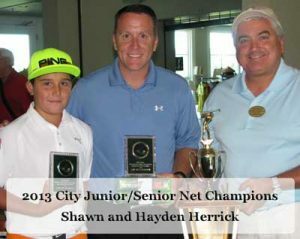 The junior/senior team of Shawn and Hayden Herrick took the trophy for Low Net, scoring 57. They tied for low gross, but cannot award both to the same team. 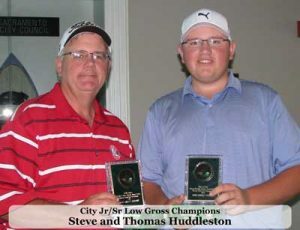 Steve and Thomas Huddleston shot 4 under par for 68 to take the Low Gross honors.